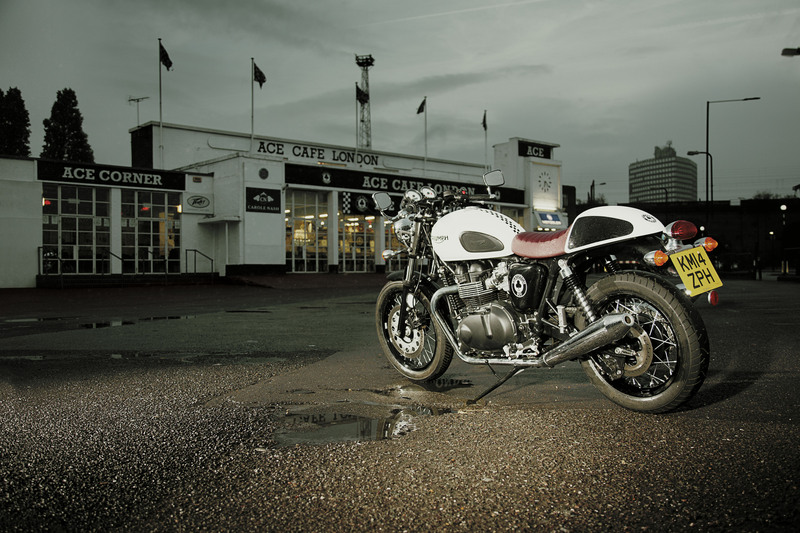 The names of Triumph and the Ace Café are linked way beyond our power of understanding, as these two are iconic landmarks in Britain’s motorcycling history. To mark down this bond, Triumph has created the Thruxton Ace Special Edition, a limited-run machine which epitomizes the classic heritage embodied in a modern-tech machine. The Thruxton Ace Special Edition evokes the classic profile of the café-racer, with is fluid and voluptuous silhouette, adorned with bespoke Ace Café decals on the side panels, tank and tail section. 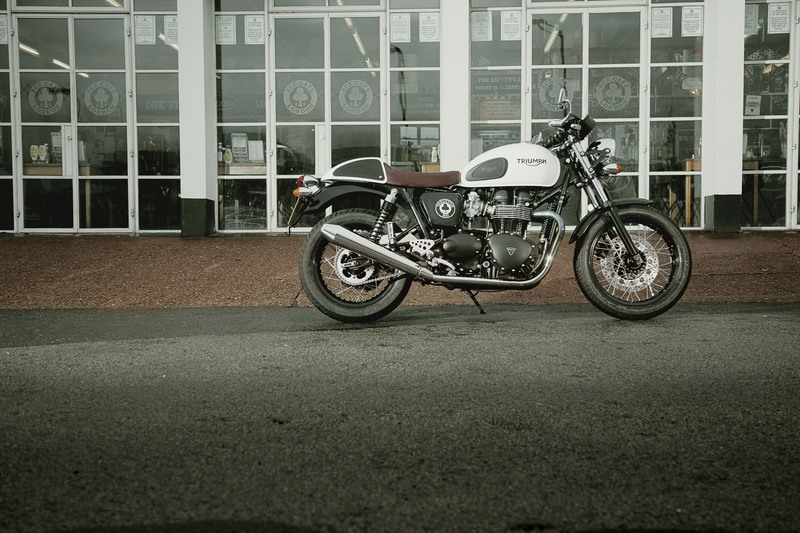 The wheels are alloy wire-spoked, a perfect classic match to the low-slung bars and the custom bar-end mirrors. The handlebars also have a plaque which states the Special Edition nature of this Thruxton. Triumph chose a minimalist livery, with a Pure White tank and Jet Black side panels and a racing stripe design which leaves no room for mistakes. And oxblood custom seat replaces the standard one, but the engine remained untouched, the same 865cc, 68 hp, 72Nm (53 lb-ft) parallel twin, with its classic megaphone silencers and iconic rumble. Optional accessories include a variety of alternative seats, Carpys exhausts and chrome parts. 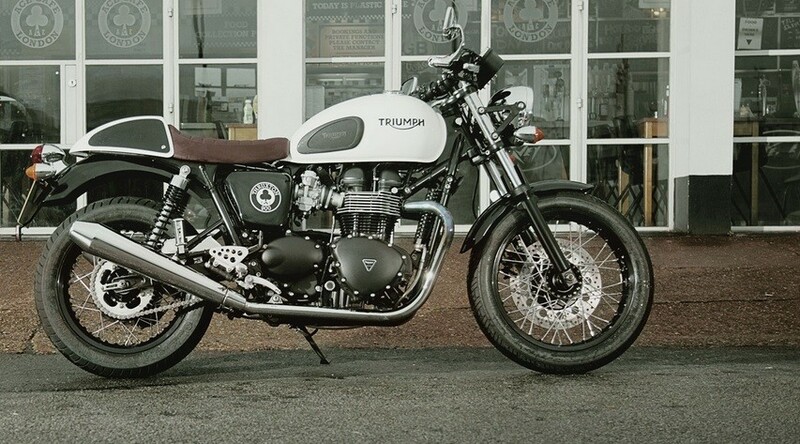 Only 100 Triumph Thruxton Ace Special Edition bikes will be fabricated, and dealers are already taking orders These bikes are now all over the globe and making a strong impact on the Classic Motorcycle fraternity, something that’s a good thing in my eyes. 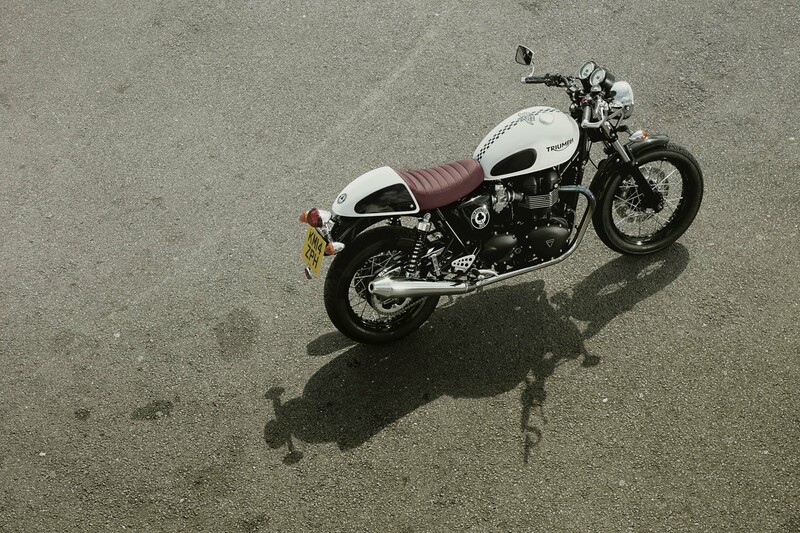 Have a look at the Thruxton and see what you think. 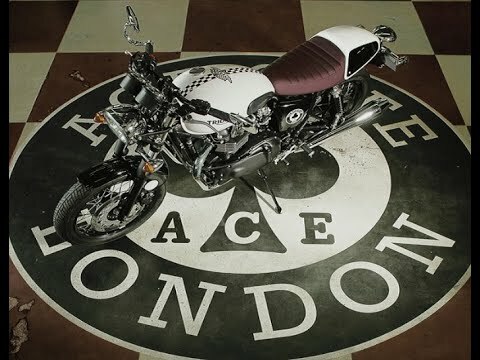 I havent ridden one of the Ace models but I think for collect-ability I should of had one, seeing as my ties to the Ace back home will always be a big part of my life. Half way through the week, lets get some tunes going.